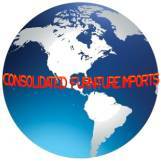 Furniture specialists with over 25 years of international transportation experience, our mission is to provide professional handling, excellent customer service, and a great import or export experience for our customers. For those interested in an ongoing US Distribution Center for packing, shipping and warehousing--our Outsource in High Point program, and for qualified international exhibitors participating at the High Point Furniture Market---Ampac offers a number of import services. "A large part of the business I run is selling high end luxury furnishings from around the world. When these goods are delivered to my client, the only call I want to receive is about how beautiful the piece is. AMPAC has always been a part of my supply chain because, in the end, their diligence and care expresses to me that they value that very same phone call. When you are choosing a supply chain partner, choose carefully, choose AMPAC. " We have developed regularly scheduled consolidation routes with our global partners --uniquely dedicated to the furnishings industry. Ampac empowers companies to be competitive with delivery and transportation costs. We currently offer coverage throughout Europe. Ampac is a One Stop resource for all you need to export furnishings, accessories, fixtures, vehicles, and materials for your home or commercial store or project. We work with international retailers, architects, designers, and buying groups, helping our customers manage time-sensitive projects requiring consolidation from several vendors, or other special handling related to shipping vehicles, building materials, and some medical and research equipment. We also work with international homeowners who have purchased furnishings from fine retailers and designers in the High Point region because of its world-renowned availability, of excellent quality and variety of furnishings and items for the home. We pick up and receive purchases from multiple vendors. We store your purchases in a secure, insured, climate controlled, private bay, awaiting export. We wrap and pack goods as needed for export, including export wrap, custom cartons, and wood crates. We provide inventory assessment, and email an Inventory Status Update each time goods are received at Ampac. We provide light assembly upon request. We offer competitive ocean freight rates through our global partners, and full cooperation with outside networks. Working with customers and vendors, we prepare export documents, schedule and load containers...and ship to port or to door. "Thank you for always being so awesome!" Copyright © 2019 Ampac Forwarding. All rights reserved.